I lost 80 pounds and continue at my ideal weight going on twelve years and counting. While, exercise and improved nutrition contributed to my weight loss, a major factor towards my success was that I changed my eating habits, food preferences, and eating behaviors. For many, being over-weight is a symptom of unhealthy food selection, over-eating behaviors, and habits. Naturally, we develop food preferences from family and culture. In order to sustain weight loss, new healthy foods must be added to your life long diet. Every week, try to experiment with a healthy food, and if you like it, add it to your life long diet. Eventually, your life long diet will consist of healthy foods and you will crave unhealthy foods less often. Failure is likely when you are on a strict diet eating food you do not enjoy. Many have success reducing how often they eat unhealthy food by choosing one day they allow some unhealthy food in their meal plan. (See Cheat Day). Make substitutions to foods that are better for you and you still enjoy. I eat dark chocolate with lower grams of sugar instead of milk chocolate and I still enjoy the taste. Thoroughly read the nutrition and ingredient information on the labels on every product that you buy. While grocery shopping, use your smart phone to research any ingredients that you do not recognize. Two things happen when you deprive yourself of your favorite foods. Your thymus glands releases stress hormones that prevent weight loss, and you will eventually binge-eat the foods that you are craving. To counter this, try incorporating a “cheat day” once a week. On this day, have that piece of pizza, or doughnut that you have cut out of your meals the rest of the week. Most find over time that they don’t really miss the doughnut and find it easier to eliminate the unhealthy foods for longer periods of time. Having a planned cheat day will give you will power to abstain from unhealthy foods or at least reduce the amount of empty calories you eat. 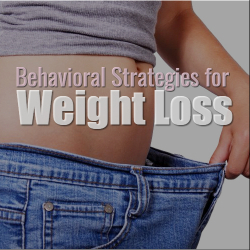 There are emotional triggers that can cause binge eating behavior. These behaviors occur when an individual is stressed, depressed, or bored. Over time, over-eating can become a habit without emotional triggers (see habit section). Identifying these behaviors and developing alternative coping strategies to eating is crucial. The first step in concurring over-eating is to write down what emotions you feel and what you eat. This self monitoring technique will help you recognize an over-eating pattern so you can create strategies for adjusting your routines or habits. It is important take action to address the emotions that cause over-eating. Find healthy alternative stress foods. Like fruit, vegetables, and nuts. Drink water more often especially before each meal. Take yourself out of an environment or schedule other activities to avoid events or places where you will be tempted by unhealthy food. Increase exercise to combat depression and stress by increasing endorphins. Chew on gum. The act of chewing reduces stress, a cause of over eating. Chewing gum also fights cravings and can reduce appetite. Brush your teeth when craving something sweet. Brushing your teeth distracts you from your cravings. Eating while distracted can cause us to over eat or not eat enough. Perhaps, you are watching TV, driving, or working and you realize that you have eaten an entire bag of potato chips. The solution is simple. When you are eating, do nothing else. Instead, focus on how the food tastes. Eating too fast can cause over-eating because it takes time for your stomach to single to your brain that you are full. Take your time while eating. Have a bite and chew it thoroughly, then put the fork down and pause for 15-30 seconds then take your next bite. By monitoring and changing your eating behaviors and habits, and adding new healthy foods to your life long diet, you can lose weight and keep it off. This success does not come without numerous set-backs, where you may relapse and gain weight. As long as you do not give up on your goals to lose weight you will succeed.